Use these decorative bollards to direct traffic, limit unwanted access, and organize busy parking areas without taking away from the visual appeal of your environment. 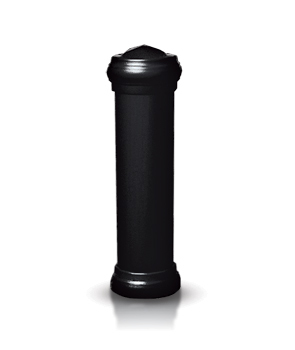 These heavy-duty 5" and 8" in diameter cast aluminum bollards have decorative ridges that add architectural detail and design to any environment. Cast Aluminum Top & Base Trim. Decorative Cast Aluminum Bollards | 5" Dia. Decorative Cast Aluminum Bollards | 8" Dia.